So Beyoncé continues to do it up the only way she knows how – in a big way. Mrs. Carter released her recent foray Beyoncé last week via iTunes with no marketing gimmicks, no ads, no press junkets – nada. She went about it all with a simple announcement over social media spots, a video on her Facebook fan page and a big ole banner on iTunes. She sent her fans in a whirlwind of a tizzy and I believe that it wouldn`t be premature in saying that she almost broke the damn internet. There have been so many rumours and articles swirling about the internet on how Beyoncé kept the project a secret, why it was released the way it was, how it’s a game changer and believe it or not – questions about her feminism. Everyone is looking to get down to the nitty-gritty, and reading their perspective is quite entertaining. So of course, I had to add my two cents on it all. My take on how she kept the project a secret – she runs a tight ship and took the necessary precautions, regardless of how many layers of red tape it consisted of. She got it done. Keeping anything secret in this industry is a feat in itself, so kudos to her. Why the album was released the way it was: People, let`s get real here. The whole thing was planned. No, there wasn’t a release without the permission of the label. Don’t let them pull the wool over your eyes. I do believe that perhaps she was challenged in regards to her ‘’trill direction,’’ but to say that she did it against the powers that be? Do you really think Beyoncé wants to deal with a contractual lawsuit while enjoying the frenzy of the release? Nope. It was a great marketing ploy. Drop the news, let it travel through the vine, get people to lose their minds and feed off her worldwide popularity, buy an entire album on the spot (when was the last time you did that? ), and have people talk about it over social media. We all know how word of mouth gets around like wildfire, and once you have the power of social media behind you, we have all seen how quickly something of this calibre can go viral. Is it a game changer? I can`t really say that it is. Bold, most definitely. However, right now I believe there are only a handful (or maybe a few more, but no more than ten, I would say) of artists with Beyoncé`s stature who can most likely pull this off. This kind of tactical move is not something that just any artist can even think of accomplishing, and I’m being realistic here. There have been many well thought (and perhaps not) out and planned tactics that have worked in the past in this industry that has caught everyone’s attention. Were they game changers? Maybe and maybe not, but the one thing I can agree on is that like any other great marketing ploy, their actions will have anyone’s marketing team ready to try and think a little more outside the box in their camp and in their playing field. Let’s not forget that she previously released a video album that accompanied B’Day, so this wasn`t entirely a new thing that she has done in a visual sense. As for her feminist stance: why we are discussing this is beyond my comprehension. Bey has always found ways to push the envelope and stand up fiercely and unapologetically while doing so, always flexing her self-empowering chops. Please do not use the fact that `’Bow Down’’ has now become ‘’***Flawless’’ featuring writer Chimamanda Ngozi Adichi – that would just be too easy. There is so much more to cover on the above topics, but I do believe I have said enough. Let’s move on. I was planning to do a track by track review of the album, but I matter as well just wrap it up right here. The album on the whole – I love it. Beyoncé always walks the fine line of trill, pop and straight up R&B. It seriously drives me nuts sometimes, but I have to say that she got me good with this one. Working with the likes of Pharrell, Justin Timberlake, Timbaland, The Dream, Miguel and others seems to have brought out the best in Bey. She infuses her pop and R&B sound with electronica, hip hop and house. 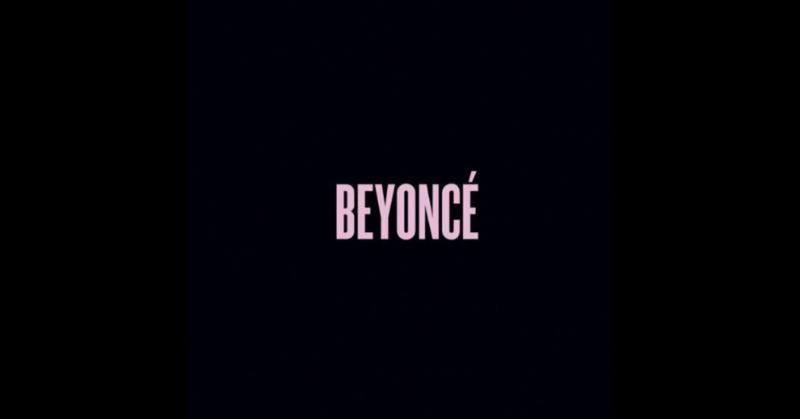 ‘’Drunk In Love’’ featuring her hubby Hova and ‘’Partition’’ are hot as hell and “Blow” is sensual pop perfection. I can hear that she dug deep in the Soulquarian crates to be inspired for ‘’Rocket.’’ ‘’XO’’ has a little rockers tinge to it that I can surely dig as well. I mean, I can go on and on. The album has been on steady repeat for the past few days, no lie. I like the dark, sexually charged, raw, divatastic side of Bey and I know I’m not the only one. Give it a chance and press play, if you don’t like it, well then let that be all. But Beyoncé just may surprise you on this one.